April Fool’s Day is upon us again. There seems to be little agreement about the origin of April Fool’s Day. Some say it began in France during the Middle Ages, when New Year’s Day was moved from April to January. Anyone caught still marking the New Year in April was labeled a “fool” and subject to practical jokes. Others point to a reference in Chaucer’s “Canterbury Tales” as the origin of the holiday. Still others see April 1, 1698 as the first April Fool’s Day. It was that day a newspaper ad invited readers to the Tower of London to see the lions washed. Those who turned up were labeled fools. Whatever reason April Fool’s Day was started, it has endured. I’ll admit, I’ve not been a huge fan of April Fool’s Day. Too easily, it seems, the line between harmless fun and mean spirited pranks is blurred and the message to our children can be unclear. However, I am a fan of humor and good, clean fun. 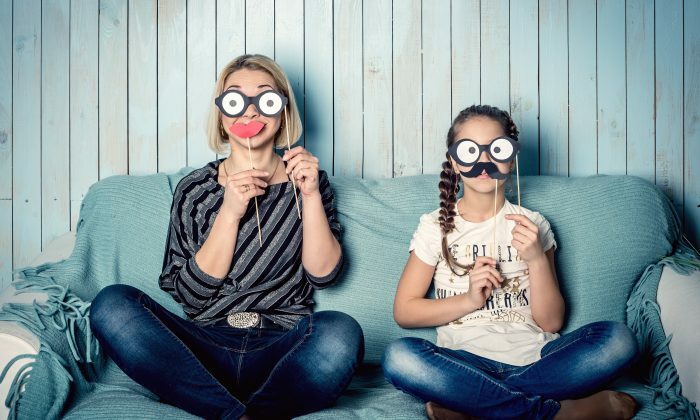 If you are, too, and you’d like some silly ideas to mark April Fool’s Day with your children, I’ve got just what you’re looking for. This is a classic. Affix a pair of googly eyes to the food in your refrigerator or pantry. When the kids open the door, the food will be looking back at them! At the bottom of your child’s cereal bowl, hide a couple of drops of food coloring under the dry cereal. Make sure your child is watching when you pour the milk and watch them gasp when the milk turns color! Before they wake up or get home from school, go around your home and turn things upside down. There are many foods that can be turned into a trick. For example, freeze a bowl of cereal and enjoy your child’s confusion when they attempt to dig in. Pound cake can be cut into the shape of french fries and paired with ketchup-colored icing for dipping. Mount a broccoli floret onto a lollipop stick and cover it with a lollipop wrapper. Mashed potatoes and gravy can be placed in an ice cream dish to look like a sundae. There’s always the classic replacing the filing of an Oreo with toothpaste. Blech! What would likely be the most celebrated trick of all on April Fool’s Day, serve your kids dessert for dinner! April Fool’s Day calls for big smiles and lots of laughs. Try one of these silly ideas and enjoy those most wonderful sounds in your home this April first.